Analytics means you do the analysis in research approach, what is going around the concept. 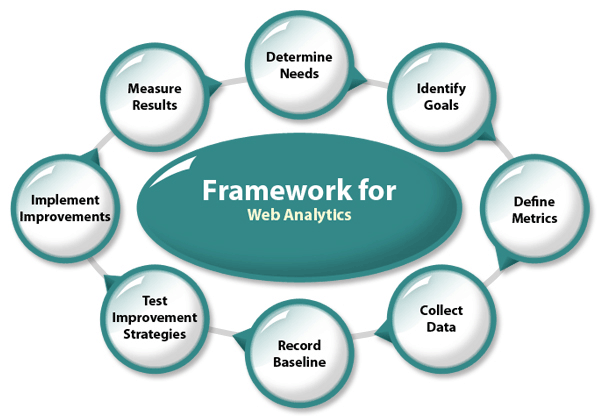 For web analytics, it means what is going around your website. Who visits, from where more peoples visit your site, which features are most popular? It is related with broad study. Analytics packages can help you track your site’s statistics, allowing you to see how many people are looking at which page, what sites your visitors are coming from, who your users are and more. This information can in turn help you measure traffic, understand your visitors properly. A web site receives a “hit” (client request) whenever the web server driving it receives a request for a page or file. A person uses his web browser for viewing the site. The number of visitors a site receives is the closest thing web analytics has to the number of real people using a web site. It means session, visitor sends request, and session starts and ends when the server receives no more requests from that visitor for some amount of time, usually around 30 minutes (session duration). Whenever an advertisement appears on a page, it is known as its impression. 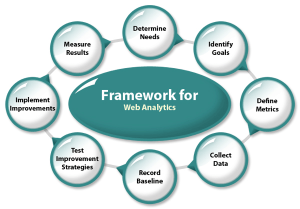 Web analytics is a mechanism that involves understanding user’s response to the various elements on a web page. Web analytics will record how much traffic your website is getting and from where it is coming. It also helps you to determine the source sites that drive your customers to your web site. Web analytics works by placing a small piece of code on every page of the site. This code passes details of what users are doing to a piece of online software known as an analytics package, where it can be viewed in tables and graphical reports. Organizations must apply structured, experiment-oriented practices to digital analytics. Google Analytics is one of the best free tools that any website owner can use to track and analyze data about Web traffic. You get to see what keywords are bringing the most visitors to your pages and what aspects of your designs are turning them off. FireStats is a simple and straight-forward Web analytics application written in PHP/MySQL. It supports numerous platforms and set-ups including C# sites, Django sites, Drupal, Joomla!, WordPress etc. 3. Woopra: It is another tool that offers real-time analytics tracking; it is a desktop application that feeds you live visitor stats. You also have the ability to chat live with individual site visitors. Clicky also offers a free service if you have only one website and a Pro account for a monthly fee. You get real-time analytics, including Spy Views. Yahoo! Web analytics is Yahoo!’s alternative to the dominant Google Analytics. It’s an enterprise-level, robust web-based third-party solution which makes accessing data easy especially for multiple-user groups. At last Chartbeat’s Clarkson says “(Web analytics) is more of an art than a science”.